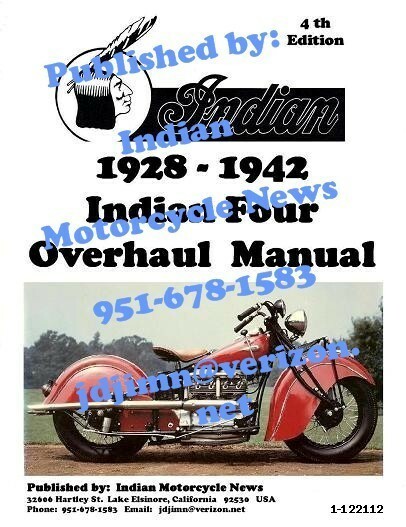 New, 1928 - 42 Indian Four, Our 4th Edition, Illustrated Overhaul Manual, 70 pages, 43 photos & illustrations, includes 1936-37 Marvel Carburetor section, MINT condition. We have added 43 photos & illustrations to this upgraded & expanded edition. The original had none..!